...Improving Sales, Relationships, Productivity, and Peace of Mind. Your group connects more deeply with their clients, prospects, staff and family through simple memory techniques that nurture trust and build business. Amaze and inspire your attendees while listening to their laughter and delight as they supercharge their memories. Practical yet fun, Brad's keynote and general session presentations give audiences practical tools to improve their memory abilities in every area of their lives... while they have fun. Filled with fun and surprising visual examples, feats of memory, and audience interaction. 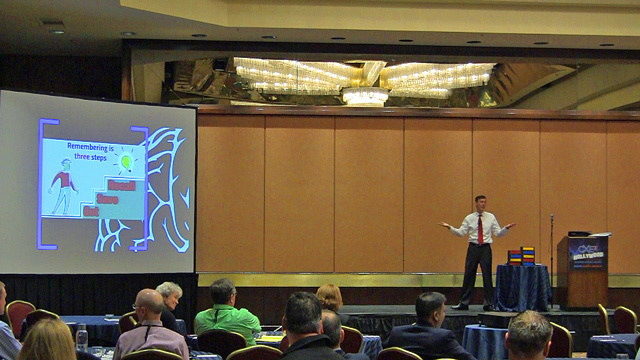 If you need to wake up or energize your audience, Brad's icebreaker/session opener is for you. He entertains while providing real-world tips your attendees will use the rest of the day to remember more of what they see, hear and read. 25 years on stage as a full-time entertainer, plus record-setting memory abilities, equals a presenter who can not only capture your audience's attention, but show them how to supercharge their memories...all while having fun. Upon turning 40, Brad noticed a sharp decline in his memory abilities. Determined to not live with a 'natural' memory decline as he aged, he threw himself into memory improvement and discovered the 'secret' that he shares with audiences worldwide: exercising our memories is absolutely necessary, but it can be easy and even fun. At age 47, Brad's memory is sharper than ever. He's living proof that we don't have to struggle to remember secure passwords, feel embarrassed when we forget the names of people we meet, miss appointments, rely on notes for speeches, or forget what our families, friends and coworkers tell us. Preparing to memorize 14 decks of shuffled playing cards. 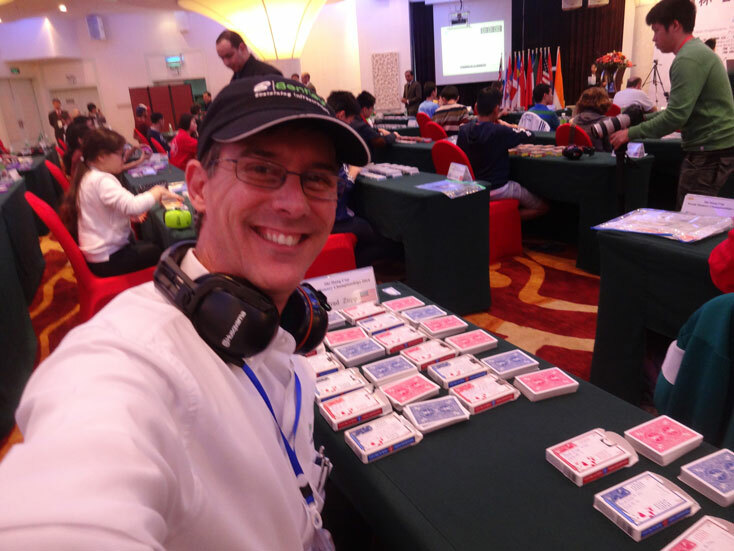 China, World Memory Championships 2014. At age 17, with parent permission, Brad "ran away" to join Ringling Brothers and Barnum & Bailey Circus. He traveled the world as a professional juggler and entertainer for 15 years, performing at corporate events, on cruise ships and at theme parks. At 32, Brad put performing on the back burner and settled down, pursuing careers as first a top-performing Realtor, achieving Coldwell Banker's Diamond Society Award and winning his office's Customer Service Award all three years he was in that office. He then went on to a successful career as a financial planner with tens of millions of dollars of assets under his management, as well as a series 7 license and AAMS designation from the College for Financial Planning. Brad understands the importance of keeping audiences engaged and laughing. His success at sales, prospecting, customer service and getting referrals makes him perfect to speak for all types of business groups: he's been right there with them and understands what they're going through.